SOLD OUT! Subscriptions to the 2015 Poetry Downtown series are SOLD OUT at all levels. In conjunction with our 30th anniversary, Literary Arts is proud to relaunch Poetry Downtown, a three-part subscription series featuring three distinguished poets reading and discussing their work at the intimate Winningstad Theater. A question-and-answer session and book signing follow each reading. 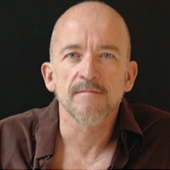 Mark Doty has published five volumes of nonfiction and eight collections of poetry, including Fire to Fire: New and Selected Poems, which won the National Book Award for Poetry in 2008. His new book, Deep Lane, is forthcoming in the fall of 2014. Doty says Deep Lane “is about descending, sinking more deeply into one’s life. The poems often make use of subterranean images: earth and transformation and hidden life below.” The series continues with Anne Carson on May 16. Click here to visit the Poetry Downtown homepage.